2010 is really shaping up to be year of the Android. The HTC Bravo is rumored to be the latest & greatest Android smartphone from HTC and in likelihood will go head-to-head against Sony Ericsson’s Xperia X10. The HTC Bravo has high-end specs including a 1GHz Snapdragon chipset, 3.7-inch (480 x 800) OLED display, 5MP camera, 720p HD video recording. Targeting it as a multimedia device, HTC has also added Divx and Dolby support. This will go up against the Xperia X10 with its 4-inch TFT screen, 1GHz Snapdragon, 1GB internal memory (double that of the Bravo) and likely better imaging with its 8MP camera. The Xperia X10 is also set to launch in February 2010, a couple of months earlier than the Bravo. 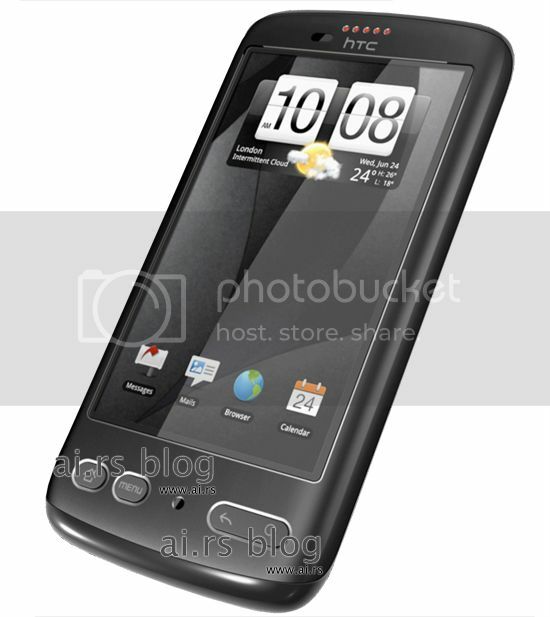 Of course, information on the HTC Bravo is highly subjective until we see some official specifications. 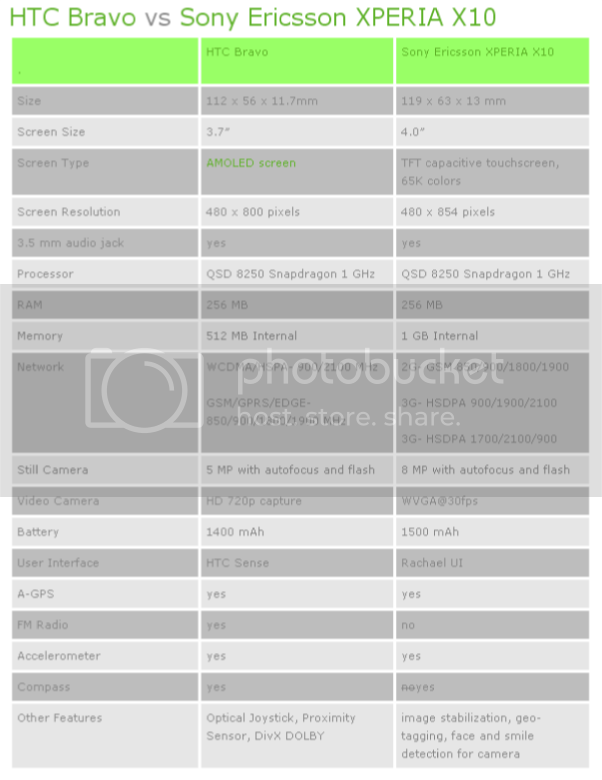 In the meantime, check out how both handsets fare specs-wise in the chart below. HTC Bravo image courtesy of ai.rs.